I  have one of these on my 33-round Glock mags for my PCC. I use it at every match and practice session. 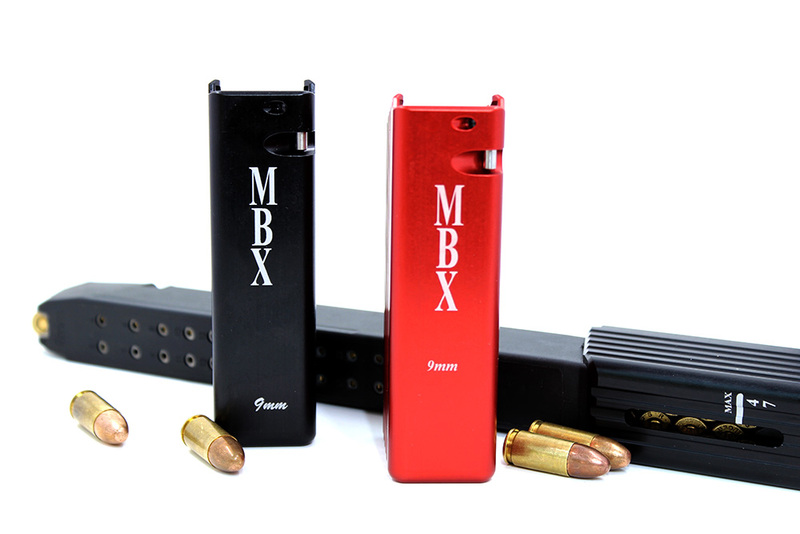 Follow the directions on the MBX site videos and you will have a 100% reliable ultra-high capacity magazine for your PCC. I wanted something I could get the magazine up to around 40-44 rds but still be downloaded by several rounds to ease insertion into the gun. With a little cleanup of the insides of the factory Glock 33 rd magazine, these run 100%. Spritz the inside of the mag and extension with a bit of dry silicone to make it even more reliable. This is my second MBX mini extension. First one is a year old and still going strong. They called me to verify my billing and shipping addresses for their protection and mine. I really appreciated it. Shipping was fast. Will definitely come back to purchase again. This basepad is the best on the market. I have used others out there for PCC and MBX has hit a homerun with this one. Assembling the basepad and spring is super easy and does not put the spring in a bind like some of the others I have owned. The amount of rounds that it holds is true and feeds my JP perfectly. I have been more than impressed and happy with this. The finish is also excellent. I liked it so much I bought a second. Also, Adrian the owner of MBX is standup guy!